Researchers at Washington University in St. Louis, Missouri, were able to get subjects to see in the infrared with the naked eye. Researchers used infrared laser beams (pure focused infrared beams) at different wavelengths to conduct their experiments. The key to their safety in these experiments and ultimately it’s usefulness in medicine was using a less powerful infrared laser beam, not one that can damage the retina like conventional laser pointers used in lecture halls or as toys. There were reports in the past of humans could see infrared light in scientific literature during experiments, but they were unexplained and thus the myth remained human retinas were incapable of seeing ‘invisible’ infrared. For researchers at Washington U. to conduct their experiments, laser pulses of different duration were delivered with the same number of photons, defined as the particles that make up light whether visible or invisible like infrared. Their findings: if the infrared laser pulse was short enough to ‘stack’ the photons picked up by the photoreceptors in the retina, two photons hitting the retina instead of one, it caused the invisible wavelength to mimic a visible wavelength half it’s strength, becoming a wavelength visible to the naked eye. The key is to get the beam in the visible spectrum or the ‘rainbow’ which is in the 400-700 nanometer range. At near infrared (NIR) 1,000 nanometer wavelength, with two photon hits, it became a 500 nanometer photon thus in the visible wavelength range. By making the pulses short in order to bombard the retina the subjects didn’t see ‘pulses’ but instead saw a duration of light. In standard vision, only one photon is absorbed at a time by your photoreceptors on the back of the retina, which then create a molecule called a photpigment read by the nerves leading to the brain creating vision. The benefit to all this is whereas using visible-wavelength lasers might damage the retina in potential medical treatments, this technology will develop new tools to examine the healthy eye by stimulating specific parts of the retina to see if it is properly functioning. 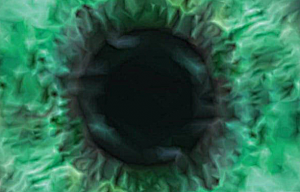 By doing so doctors can learn more about our eye’s structure and function not only in healthy eyes but in people with retinal diseases such as macular degeneration. In case you were wondering, all 30 volunteers described infrared as very short pulses of pale green light and longer pulses of reddish light. After studying Emperor penguins using thermal imaging cameras, scientists from Glasgow University in Glasgow, UK discovered that these Antarctic birds keep warm by an unusual phenomena where temperatures can reach -40C. Studying penguins In the French-claimed sector of Antarctica named Adélie Land, scientists discovered that penguin’s feathers or plumage are colder than that of the surrounding air. As a result thermal radiation, heat from the warm bodies is lost to the colder air, is minimized. Penguins, similar to humans at 37C, maintain core temperature of approximately 36.9C but only their eyes, beaks, and feet were warmer than the surrounding air, and only their eyes are above freezing. Similar to fighting fire with fire, Emperor penguins fight cold with cold. 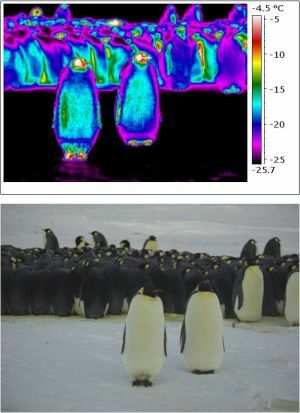 Thermal Imaging confirmed that penguins coats are four degrees Celsius colder than surrounding air. Penguins are able to accomplish this by having their coats face the upper atmosphere which is 20C colder than the surrounding air. For example, according to Glasgow scientists, a similar phenomenon can be observed if you park your car in the open on a cold night. Usually you will only find frost to have formed on the roof and windscreen but the sides do not ‘view’ the sky and therefore are radiating to relatively warmer surroundings. Penguins plumage is also so insulated it is equivalent to humans wearing two ski suits. Computer simulations confirmed their findings. Possibly as a future add-on to solar panels for harvesting energy at night, physicists at Harvard University have found a way to capture thermal infrared energy that escapes every night into space by the very act of allowing it to escape. 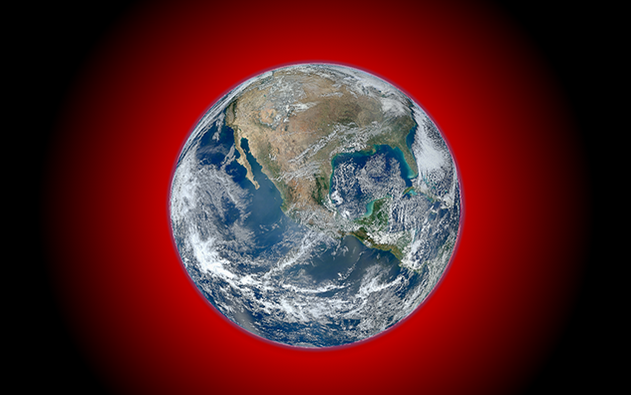 By using the principal of hot and cold differential to harness electrons into voltaic current, similar to how radioisotope thermoelectric nuclear batteries are used on artificial satellites, the thermal power generator would capture the infrared photonic energy with the use of a “hot” plate, as warm as the Earth, with a “cold” plate on top made from a material that would quickly radiate the thermal infrared electromagnetic photonic wavelengths back to the cold vacuum of space. During a pilot study in Lamont, Oklahoma, the researchers have calculated that the heat difference between the plates could generate a few watts per square meter, day and night. 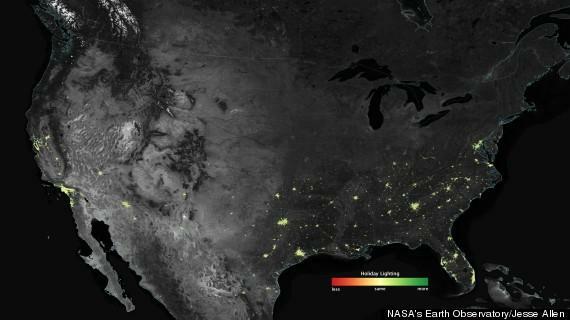 This natural radiation happens every night with some of the infrared energy being trapped by our atmosphere to keep the planet from being as cold as space, thus named the greenhouse effect. With the sun bombarding the Earth with infrared heat that escapes every day and night continuously back to space this is clean energy that can eventually be used. Scientists hope to create a working model and become further efficient producing additional watts by using nanotechnology making efficiency possible. Manchester University (Manchester, UK) researchers are using a thermal imaging camera to examine the performance of aerospace components in a wind tunnel. The knowledge gained by the wind tunnel tests will help designers of high-speed aircraft and re-entry space vessels that need to bring payloads to orbit and return to Earth. The wind tunnel at the university is one of the few experimental facilities in Europe that can reach Mach numbers higher than 5. According to Professor Konstantinos Kontis, head of the Aerospace Research Group at Manchester University , the prolonged exposure to friction induced heat caused by the air flowing across the surface of an aircraft traveling at Mach 5 can be detrimental to the structural integrity of the material used in aircraft components. It is therefore important to test such components extensively before they are deployed in the field. To capture thermal maps of the entire surface of the parts under test in the wind tunnel, the thermal imaging camera which contains an uncooled microbolometer detector that produces thermal images at a thermal sensitivity of 50mK (0.05°C), is located on top of the test chamber, looking in through a protective housing. This allows the camera to accurately map the thermal hot spots caused by the air friction, without being subjected to the force of high velocity air-flows. The full resolution can be captured at a frame rate of 50 fps, but it also provides high-speed windowing modes that allow the operator to increase the frame rate to 200 fps. The captured thermal footage along with it’s radiometric temperature data is analyzed with specialized software. “We use it to capture the data, define special regions of interest and export the temperature measurement strings to third party software for an in-depth analysis of the data,” says Dr. Erdem. On one end of the wind tunnel there is a chamber capable of containing pressurized air up to 15 bar, 15 times Earth’s regular atmospheric air pressure. At the other end is a vacuum tank which is brought to 1 milibar, one thousandth of regular atmospheric air pressure. In between the two is the test chamber where the test object is placed. As the pressurized air travels from the pressure chamber into the vacuum chamber, it passes the test object with a speed of about 6,000 kilometer per hour, similar to traveling at Mach 6 or approximately four thousand miles per hour at 50,000 feet (flight level 50), the highest altitude at which planes don’t lose air density. Velocity at sea level to obtain Mach 6 is 3,147 miles per hour. The difference in the velocity at different altitudes is due to the fact that the earth is spherical, so the amount of speed needed to cover a certain distance of the earth’s surface at a low altitude, is a lot lower than the amount needed to cover the same distance of the earth’s surface at a very high altitude. At 5 feet tall, 300 pounds a new droid is coming to a shopping mall near you for working for only $6.25 an hour. The average minimum wage in the United States is $7.25, or 9.32 in Washington state. Coming in substantially under those costs, Knightscope’s robot watchman service raises questions about whether artificial intelligence and robotics technologies are beginning to add another dimension to the workforce. 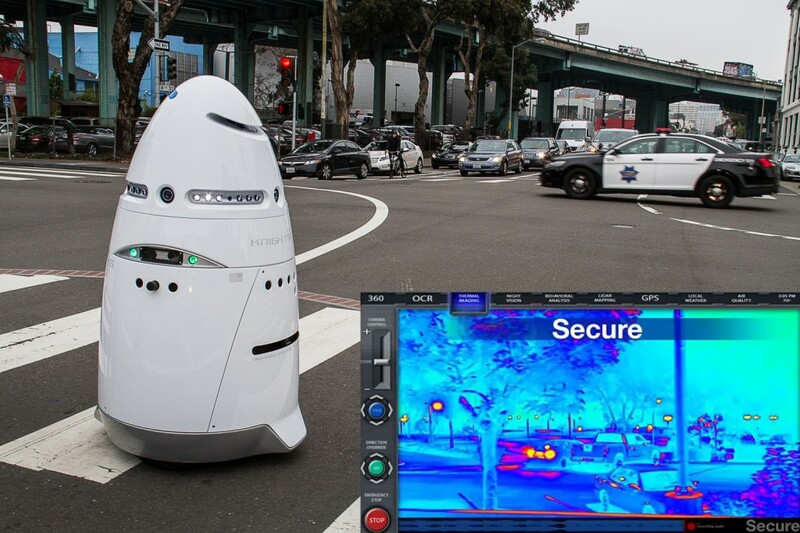 This mobile robot known as the K5 Autonomous Data Machine, will replace security guards, with an industry wide high turnover of more than 400% at private security firms, or as the economic projections predict fulfill unmet demand as there will be a shortage of security personnel by 2024. Areas of interest for this new device, available next year, are schools, shopping centers, hotels, auto dealerships, stadiums, casinos, law enforcement agencies, seaports, and airports. The National Center for Education Statistics estimates 1.9 million incidents of violence, theft, or other crimes had taken place during the 2009-10 school year. Additionally, 790,000+ students reported carrying a weapon on school property on one or more days during a 30-day period because they felt unsafe. The company that makes the K5 hopes to put a dent in the $1+ trillion negative economic impact all crime has presently. The Knightscope K5 has a lot of this mash up of tech inside so that it can essentially see, hear, smell and ‘feel’. 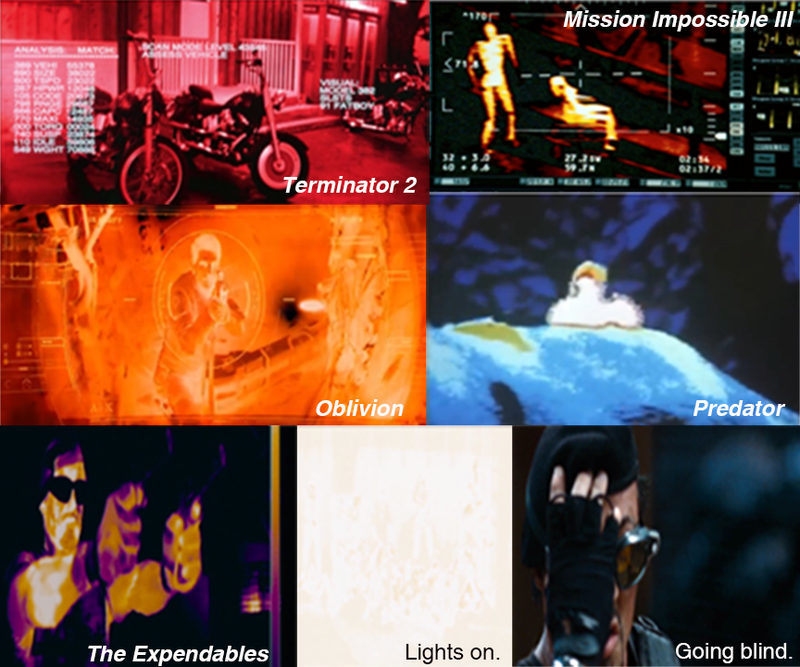 But as with all things robotic in order to see at night to be even remotely capable as humans it must have infrared. With thermal imaging cameras the machine has super vision in all conditions. Also on-board are analytics, proximity sensors, high quality microphones, biological, chemical and radiological detection, 360-degree HD video, GPS, and 3D mapping, radar, a laser range finder (LIDAR), ultrasonic speed and distance sensors, air quality sensor, and optical character recognition technology for scanning things like license plates for starters. The Knightscope founders believe in their future hard worker will be capable of crime prediction, or “precog” — a theme of the movie “Minority Report.” The all-seeing mobile robots will eventually be wirelessly connected to a centralized data server, where they will have access to “big data,” making it possible to recognize faces, license plates and other suspicious anomalies. Privacy advocates have concerns this is simply a real-time Google Street View System. The company defends their product by saying, “We have a different perspective. We don’t want to think about ‘RoboCop’ or ‘Terminator,’ we prefer to think of a mash-up of ‘Batman,’ ‘Minority Report’ and R2D2.” The K5 is not armed at this time.